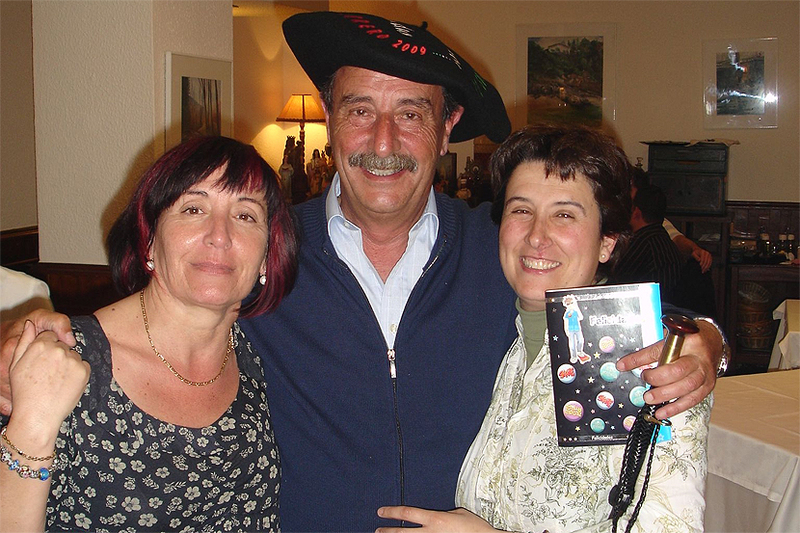 For those of us who saw her every day at Orbea, she was truly a symbol: she was the last person to join us from Zeus, the mythical manufacturer of bicycles and components from (Abadiño) that Orbea bought at the end of the 1980s. With the acquisition of Zeus, Orbea positioned itself at the pinnacle of the road bike sector, and Pilar was one of the ‘muses’ that Zeus passed on to us. 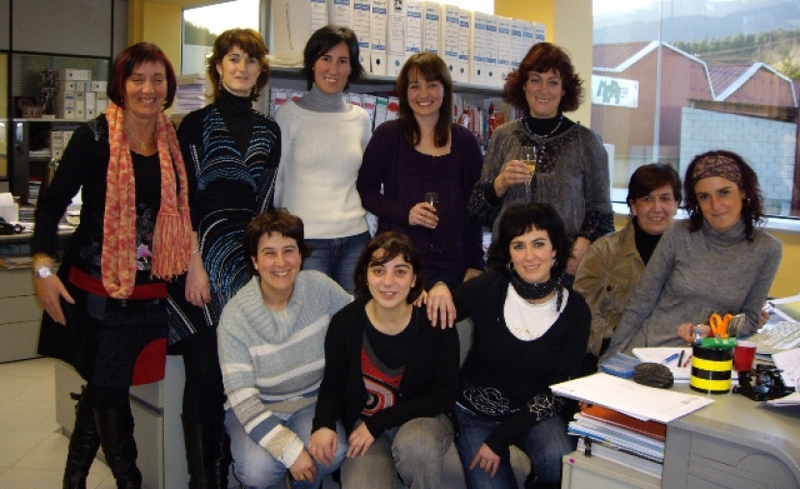 Pilar was set to retire in December 2015 and it occurred to us that it was a perfect time to pay her the tribute that she so rightly deserved. At the same time render homage to Zeus: a brand that more than 25 years after it disappeared is still recognized by truecycling fans in the Basque Country and beyond the Pyrenees. Part of this tribute is the interview that you will read below, and which was originally going to be posted in this blog last December. Unfortunately, disease suddenly took her from us leaving us speechless. 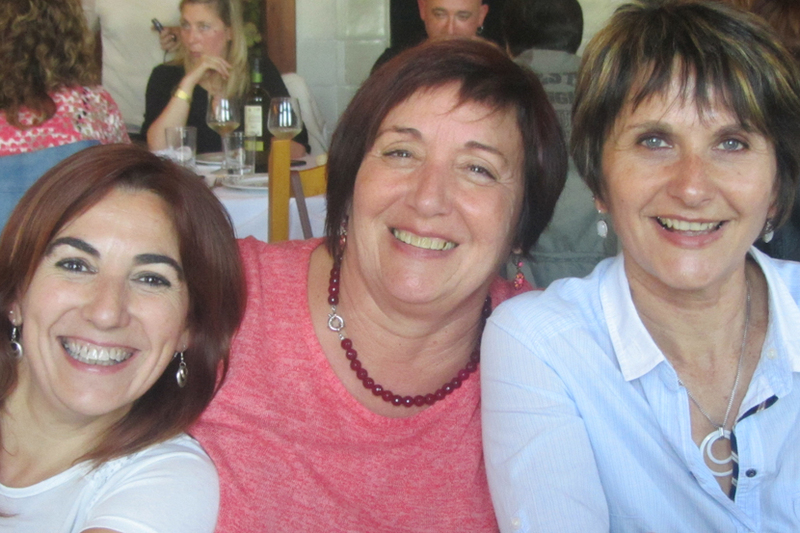 Pilar, who guided the reins of Orbea’s Sales Department with a steady hand leaves us the legacy of her passion, perseverance, effort and dedication. Which have made this department the operations center it is today with thousands of orders from around the world. Our conversation with her thus serves as a tribute to her career at Orbea and Zeus. Thank you for everything, Pilar! How has the sector evolved over the years? It has changed completely. It has nothing to do with how we worked 25 years ago. Back then, there were no computers. The closest thing was a kind of machine that kept track of numbers by means of cards that were inserted. It was a more mechanical, more manual and slower job, but one that possibly benefited the type of traditional product that was made. Customers were dealt with over the telephone or by letter, which may sound like a story your grandmother would tell you, but we didn’t have hardly any technology; in my opinion, it was a closer, more human relationship than placing an order over the Internet, like nowadays. Let’s talk a little bit more about your time at Zeus. How did you get your start there? The name is interesting. Where does it come from? We had a manager, Arrati, who loved mythology. I think he chose the Greek god Zeus because of his strength and power. Besides being the company’s founder, he was married to Arrillaga Orbea, who was part of the Orbea family from Eibar, and they had owned a company that occupied 15 floors and had 200 employees. They manufactured every part of the bicycle, from the cogs to the hubs and spokes, etc. It was a 100% artisanal production company. Exactly, they were top level components and very specialized. Before there were bicycles with one, two and three speeds and they started to make bikes with 5 cogs and 2 chainwheels, which could be considered as top of the line. Even though they weren’t made of carbon those models could be compared to today’s Orca models. They were also fully customized because they weren’t manufactured in batches, but rather by order, similar to the ‘Myo’ service we now have at Orbea. The customer even specified the size of the tubes. They were bikes that were totally à la carte. Their main market was in Spain, but it was a brand that was quite well known abroad, wasn’t it? Zeus had a time when it was very strong and it exported to practically every continent. The Spanish market was the most important, but so were other countries including some in Africa. We sent containers to countries where it seemed impossible for them to have the means for this type of product. Given how difficult it was, how did you manage to send the orders to those countries? Today, everything is instantaneous. Back then it was different. People sent a letter with the specifications and then the order had to be prepared. The payment was ensured with a letter of credit or payment in advance. It was more complicated and took longer. Everything was done at the time the order was placed, because there was no stock; they were handcrafted bicycles. The Durangaldea region is an area with a strong cycling tradition. Did the fact that Zeus was located there have an influence or was it already present? The Lower Deba Valley and Durangaldea area was home for some time to the main companies, such as Orbea, BH, GAC, Zeus, etc. But it is also true that it has always been an area that is very fond of cycling. That these companies were located here was one more factor to establish it as a center where cycling formed part of the lives of the people, and where practically everyone owns a bike. How did Orbea acquired the brand? It was one of those simple things that, if you go looking for them, never happen. When things started to go badly for Zeus, because the market took a downturn and it was necessary to change production and invest in machinery they tried different solutions that didn’t work out. The decision was made to close and see how to divide up the assets among the workers. So a value was assigned to the brand in order to attempt to sell it, since in Spain there were no others that were as well known and prestigious as Zeus. We knew the manager of Orbea at that time, Jesús Mari Aguirrezabala, and we contacted him to close the deal. We reached an agreement and then they started a new project: the manufacturing of high-end bicycles under the Zeus brand, and the intermediate range of bikes under the Orbea name. The company went from manufacturing bicycles for children along with an occasional road and mountain bike model to producing extremely high-level models for both road and mountain, totally customized. It was a major step. Yes, but not right away. I quit work after the acquisition and, as circumstances would have it, through a woman I knew, they called me to work in Orbea to cover a 3-month leave of absence that ended up lasting even longer. The truth is that when I arrived at Orbea, they gave me the chance to work in the sales department with a product I was already familiar with. On top of that, Zeus was the star product, which was a source of pride for me. Later, it was joined under the Orbea brand name, a logical step in the company’s strategy which was aimed at concentrating its efforts. It was the right decision, but I felt bad for the brand to disappear. On this same topic, it was also during this time that Orbea acquired the Veneto brand, and the three coexisted for a certain period. How was that harmony? The initial approach was correct, because Zeus had a very strong market, especially in Spain. It had a very powerful brand and a quality product. I think that Orbea made the right decision to separate the brands into different qualities and this produced good results. (…) In addition, painters were hired, something that had never been done before, and everything was airbrushed by hand. Orbea had benefits and above all, a name, because people valued the specialization. 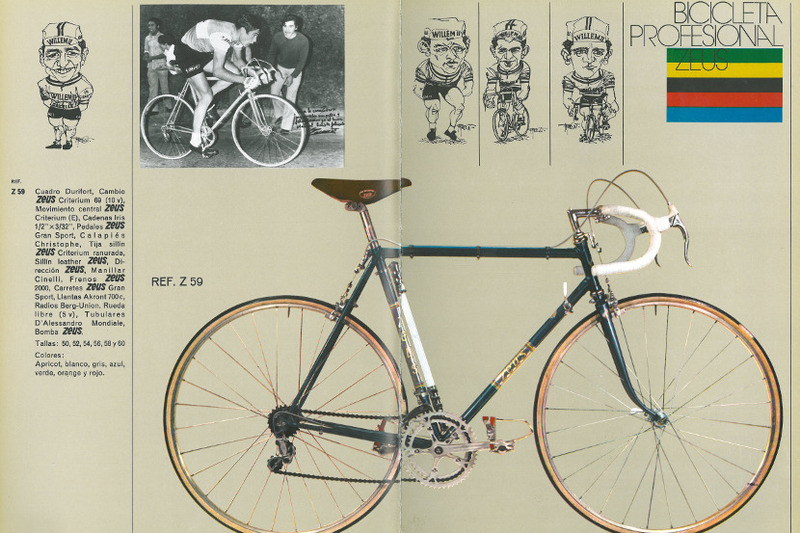 They knew that behind the Orbea and Veneto models were quality bicycles that were not available anywhere else. It was a golden age. No one else had bikes at that level. (…) Later, and it was a sound approach, because you realize that you have two or three brands and you might confuse the users. It was decided to stake our future on the Orbea brand. You focused all your effort in production, communications, etc. on one single brand. 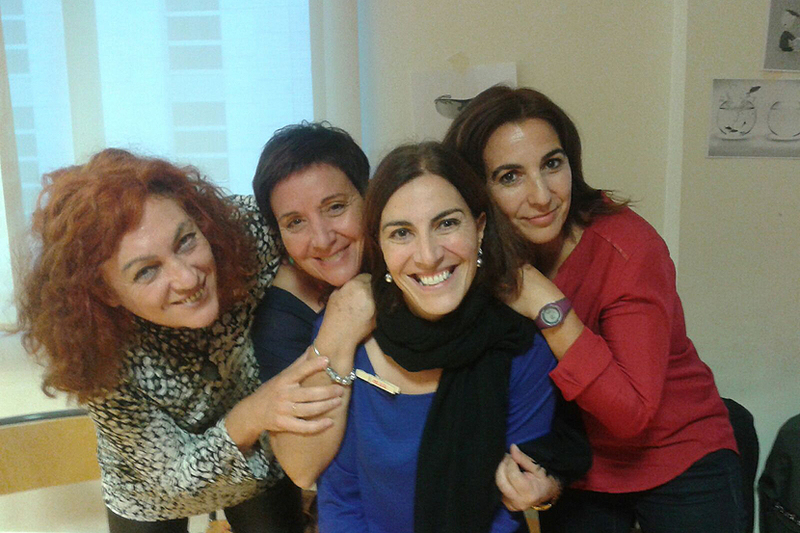 Pilar with Olga García, Olga de Miguel (Orbea’s Personnel Department) and Cristina Fernández de Aranguiz. You also participated in different phases of the sector. 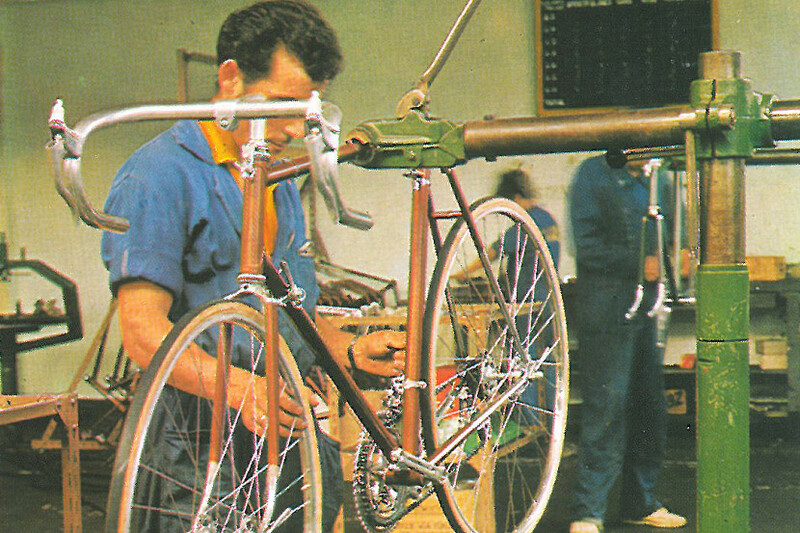 In the case of Orbea we’ve gotten back to specialization and the handcrafted production of bicycles. How do you feel about this return back to Orbea’s roots? It’s something we also did at other times, perhaps with fewer resources and possibilities than are available now. Before, customers also specified the details they wanted on their bikes: frames, assembly, etc. If Orbea is able to continue and update this service – something few brands offer -it will be one of its cornerstones in the future. Users who invest a lot in a bike want it to be unique. Yes, the Zeus Zone is another point in favor of our models. An exclusive area, top level, where bikes are customized according to customer preferences and with an unrivaled finish. It’s an area in which everything is artisanal, just like before, without any assembly lines or anything like that. Everything is done by hand, and with a lot of care. What have you learned during these 25 years at Orbea? I’ve learned a lot. I’ve had good times and I’ve enjoyed myself. It’s been a great life’s work. I’ve also gotten angry a lot because I have a strong personality, but in general it’s been a good time. I am very proud of Orbea. Everyone whom I tell that I work here immediately identifies it with a bicycle they have or had as a child. I’m hooked on working at Orbea, and I consider it my home and my life. 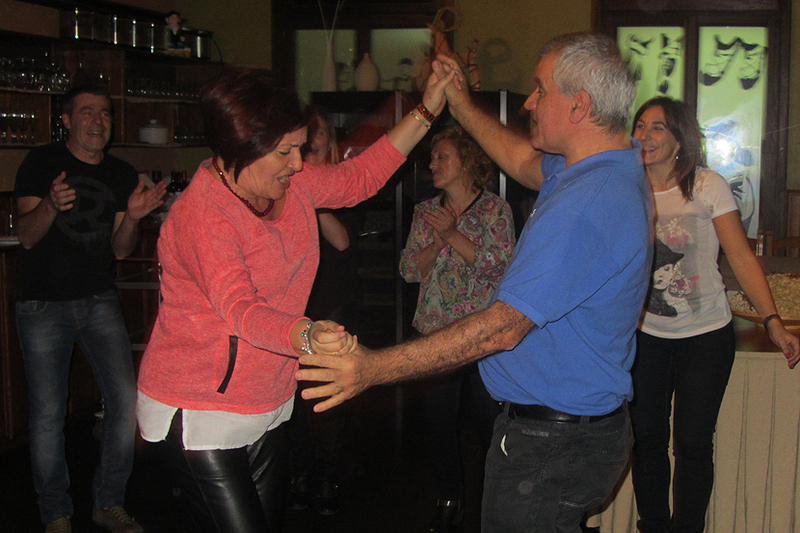 It has always been a very friendly, close-knit company, even in relations with management. I remember the groveling that went on in other companies which was unthinkable at Orbea. What surprised me the most was such a close relationship; affection that remains and is transmitted over time. I think that Orbea is also close to customers. I’ve always considered it to be my company, even before I was a partner, and a good place to work. What advice would you give us? There are a lot of young people with a lot of talent, drive and new ideas. I’m surprised by the number of people who have a real passion for bicycles, cycling and the brand. Very experienced people that we need to support and give an opportunity. We need to let them make mistakes and try out new things… Take a chance!